“The study aims to show what is needed to enable the transition, both at the ship and supply infrastructure level, to deliver zero-emission vessels (ZEVs) that are crucial to achieve the IMO’s Greenhouse Gas (GHG) Strategy 2050 ambition. The study demonstrates to all stakeholders what action needs to be taken now. 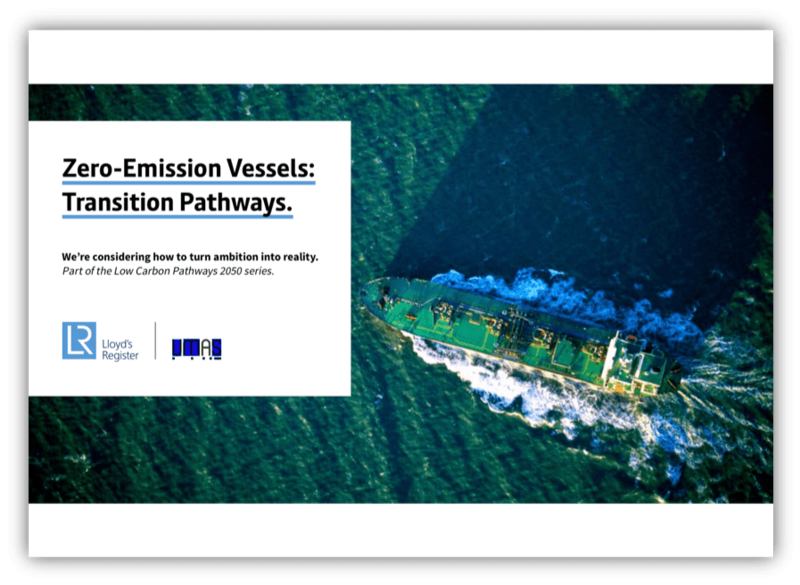 The new ‘Zero-Emission Vessels Transition Pathways’ study seeks to address key questions about ZEVs such as: what needs to happen between now and in the next three decades for ship deployment? And what needs to happen within this period to develop the supply infrastructure? The study looks at the key milestones, barriers and enablers over the specified timeframe, and considers cost implications, operating profile and how policy measures such as carbon pricing could influence the outcomes. All pathways explored with the study will achieve the IMO’s ambition of at least 50% reduction in GHG emissions by 2050 and go beyond to show that zero-carbon is possible. 2020 – 2030 is the most significant decade, stressing the urgency for early action. There is still uncertainty when choosing one fuel, one technology and one route and therefore this decade will need to see full-scale pilots and prototypes, the development of policy, standards and rules, and will be characterised by first adopters driven by consumer pressure. low-carbon fuels (for example sustainable biofuel and methanol) may also be an attractive solution as existing infrastructure and machinery can be used to ease the transition. The 2030s – scaling up of zero-carbon solutions. The evolution of shipping’s fuel mix is closely linked to the evolution of the wider energy system, so a clear signal needs to be given to the potential fuel producers. We expect to see a consolidation of what the dominant technologies for use on board will be and the interactions between end-fuel price, machinery costs and revenue loss will be better understood. We will start to see ships being designed to store less energy on board and changes to their operating profile to bunker more frequently.